Offering you a complete choice of products which include heavy duty differential spider, inter axle differential spiders, automobile differential spider, daimler differential spider, broaching differential spider and swaraj mazda differential spider. 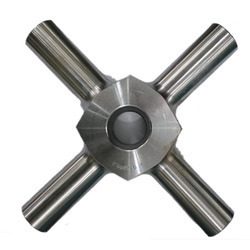 We are a quality driven firm actively engaged in the process of manufacturing and exporting a large variety of Inter Axle Differential Spiders. These spiders are superbly made by utilizing best grade material enriched characterized with the attributes of durability and high quality. Our entire range is especially made to ensure smooth functioning in the vehicles. Our offered Inter Axle Differential Spiders also protect the vehicle parts from getting worn due to the change in speed. Under the supervision of our skilled professionals, we are able to manufacture and supply a broad collection of Automobile Differential Spider . Made up of high grade material, these spiders are valued for providing smooth functioning to the vehicles. All these spiders are capable of transmitting load from the pinion and ring to the rotating axles & protect the vehicle parts from getting damaged. Further, our clients can have the complete range of Automobile Differential Spider at most affordable prices. Considered as the common type spiders, our collection of Daimler Differential Spider is widely applicable for light and heavy vehicles. Superbly made, these spiders are useful in transmitting the loads from pinion and rings to the axles. These are highly protective in saving the vehicle parts damage. Suitable for providing smooth operations to the vehicles, the array of Daimler Differential Spider is available to our customers at most affordable rates. Considered as the common type spiders, our collection of Broaching Differential Spider is widely applicable for light and heavy vehicles. 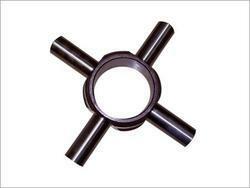 Superbly made, these spiders are useful in transmitting the loads from pinion and rings to the axles. These are highly protective in saving the vehicle parts damage. Suitable for providing smooth operations to the vehicles, the array of Broaching Differential Spider is available to our customers at most affordable rates. Owing to our vast industry experience, we are capable of manufacturing and supplying a highly durable array of Swaraj Mazda Differential Spider. 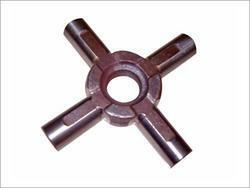 Our offered differential cases are made by utilizing supreme grade mild steel procured from reliable vendors of the market. Widely used in the automobile industries, all these differentials are known for their sturdiness, precise dimensions ad rust proof structure. Furthermore, we deliver the entire collection of Swaraj Mazda Differential Spider to our customers in customized specifications and capacities. Under the supervision of our skilled professionals, we are able to manufacture and supply a broad collection of TATA Differential Spider. Made up of high grade material, these spiders are valued for providing smooth functioning to the vehicles. All these spiders are capable of transmitting load from the pinion and ring to the rotating axles & protect the vehicle parts from getting damaged. 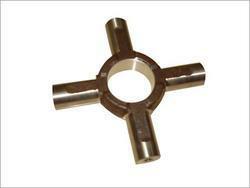 Further, our clients can have the complete range of TATA Differential Spider at most affordable prices. 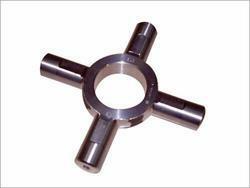 Owing to our vast industry experience, we are capable of manufacturing and supplying a highly durable array of Spider Pinion. 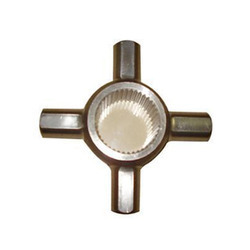 Our offered differential cases are made by utilizing supreme grade mild steel procured from reliable vendors of the market. Widely used in the automobile industries, all these differentials are known for their sturdiness, precise dimensions ad rust proof structure. Furthermore, we deliver the entire collection of Automobile Differential Spider to our customers in customized specifications and capacities. We are recognized as the prominent manufacturer, exporter and supplier of a wide collection of Ashok Leyland Differential Spider. 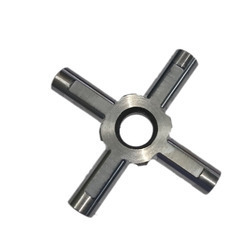 This spider cross is designed and manufactured using premium quality raw material with the aid of the latest technology in obedience to set industry standards. 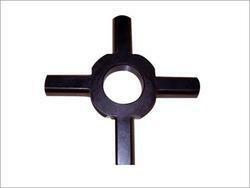 The offered spider cross is widely used in various vehicles such as tractor, bus, truck, etc. This Ashok Leyland Differential Spider are available in different specifications and also can be customized according to the clients' need. We hold vast experience in the field of manufacturing and supplying a cautiously made collection of Mahindra 40 Ton Differential Spider. These are considered as the essential parts that are used for driving the pair of wheels having equal torque. Made by using quality assured material, these spiders are known for their sturdy structure and supreme finish. Further, we make available the array of Mahindra 40 Ton Differential Spider to the customers at highly discounted prices. Considered as the common type spiders, our collection of Eicher Differential Spider is widely applicable for light and heavy vehicles. Superbly made, these spiders are useful in transmitting the loads from pinion and rings to the axles. These are highly protective in saving the vehicle parts damage. Suitable for providing smooth operations to the vehicles, the array ofEicher Differential Spider is available to our customers at most affordable rates. 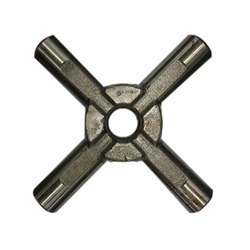 We hold vast experience in the field of manufacturing and supplying a cautiously made collection of Cranes Differential Spider. These are considered as the essential parts that are used for driving the pair of wheels having equal torque. Made by using quality assured material, these spiders are known for their sturdy structure and supreme finish. 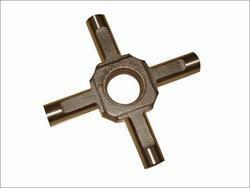 Further, we make available the array of Cranes Differential Spider to the customers at highly discounted prices.